Russian anti-virus company Doctor Web has updated the design and features of its My Dr.Web Portal for business customers—the Portal now has an adaptive design and offers users widgets and new services. New! Now you can access My Dr.Web Portal from a mobile device—thanks to its new adaptive design, you’ll be able to work comfortably with the Portal’s content from your smart phone or tablet. New! Widgets at the top of each page let you contact Doctor Web&apos;s support service quickly or search the website. Even more widgets will become available soon. New! If some of your licenses haven&apos;t been activated yet, when you sign in to the Portal for the first time, you will instantly be directed to the Licensing page showing information about these licenses and an invitation to activate them. New! In the Licensing menu you can now sort licenses by status: you can choose to view information only about the licenses you haven&apos;t renewed and renew them, filter the data to see only your active licenses, and download key files or applications. Information about all blocked licenses is available on a separate page. New! Because website accounts are linked with the Portal, you no longer need to enter your login and password to move to drweb.com from the Portal and vice versa. New! 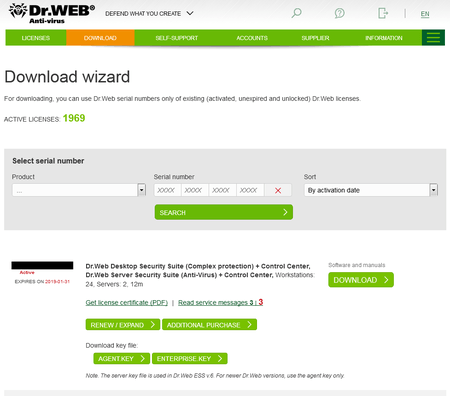 The Download Wizard is now accessible on the Portal. Just select the product you need from the list, and the information about all the licenses you have for the product will appear. Then you will only need to press Download—you will be directed to the Download Wizard as soon as you choose a product. New! If you require complete information about a certain license—its validity period, available products, technical support availability, etc.— just click on the serial number link (available if the number has been activated). The License Manager will open. All the license information will be displayed automatically. New! The Support section (probably the most important one) has been revamped to further improve its usability. 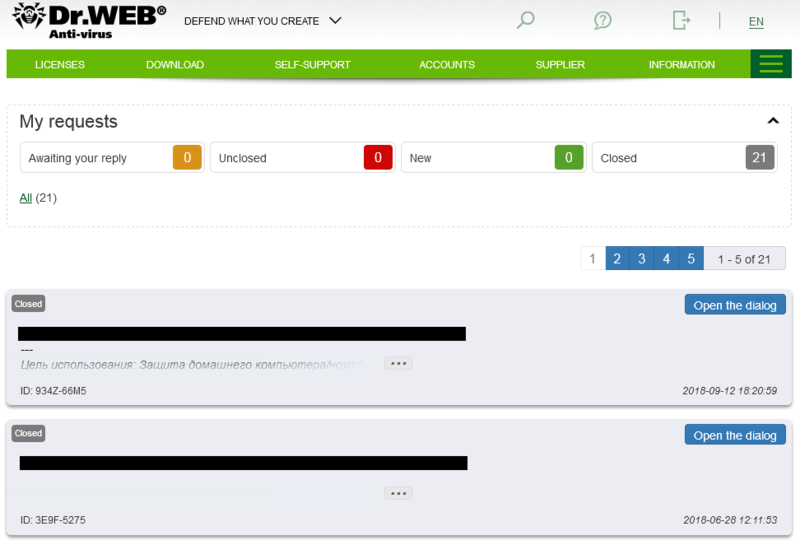 Here, business customers can view all of their support queries (new, open, closed, pending) and quickly navigate to the desired request category. You can also watch the video about the Portal&apos;s services (the information relevant to business users appears at 38 seconds). New! The Self-support section contains links to the most useful information and services. New! 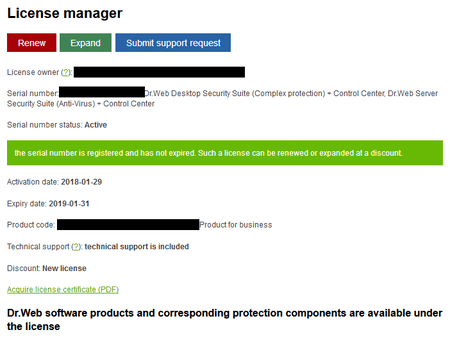 The Supplier section now also contains information about a supplier&apos;s certificates and the availability of Dr.Web-certified professionals on their staff. On this page, you can also recommend your supplier to other users. Now Dr.Web users can learn more about their license suppliers. The Buy section is now also available on the Portal. 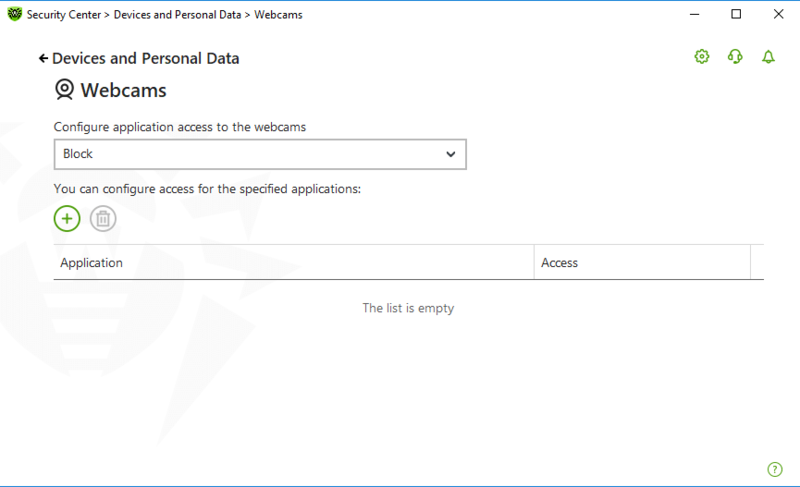 In the Accounts section, users with administrator permissions can create subsidiary User accounts for other staff members and manage My Dr.Web Portal access permissions. If you have forgotten your My Dr.Web Portal password, recovering it will be easier: enter your registered email address or the login you received after registration. If you are a registered user, use this link. 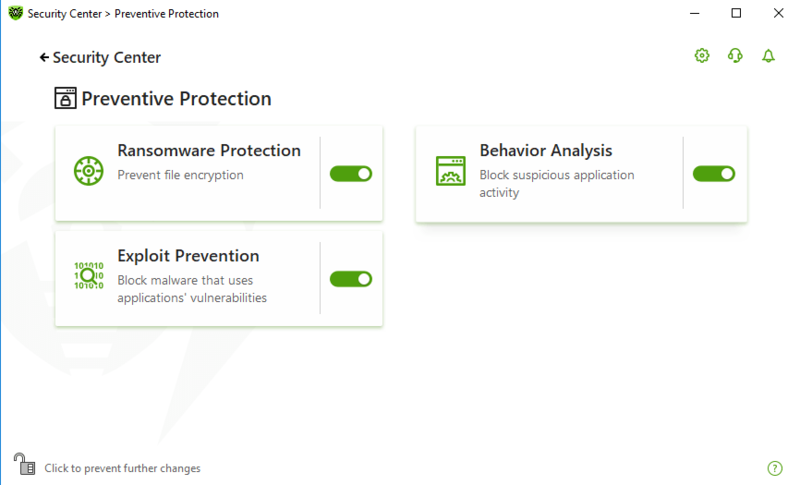 15.01 Lifetime protection with Dr.Web Security Space for Android for the entire family! 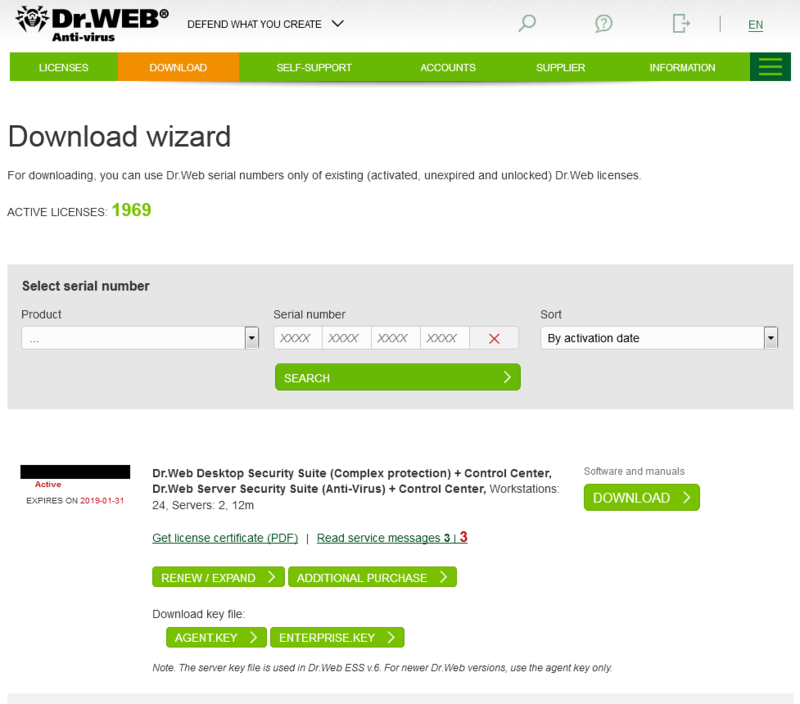 Russian anti-virus company Doctor Web is pleased to inform users that they can now purchase a lifetime license for Dr.Web Security Space for Android on Google Play and share it via the Family Library. This means you can buy a single license and share it with up to five family members. This makes buying Dr.Web Security Space Life in Google's application catalogue even more advantageous because with the Family Library, you will be able to use the license on multiple devices owned by members of your family. Remember: the lifetime license costs 74.99 USD. If you want to learn how you can set up your Family Library, click here. 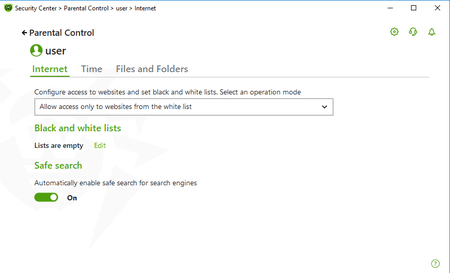 Doctor Web, the Russian developer of anti-virus software products under the brand name Dr.Web, is pleased to present its new, twelfth version of Dr.Web for Windows, which has two licensing options — Dr.Web Security Space and Dr.Web Anti-virus. They are designed to protect home users and companies that do not need centrally managed anti-virus software. the ability to use a variety of sources to make a decision as to how harmful a file or process is in order to make a maximally reliable verdict. Taken together, the improvements and innovations enable Dr.Web version 12 to detect even more threats, without having to constantly refer to the virus databases and without actually executing suspicious code. For users this means an additional reduced load on their protected devices. In Dr.Web version 12 (and going forward!) all attempts by malware to execute code in a system or to start to engage in malicious activity are intercepted in a timely manner and scanned using a signature-based method. This method is used to the fullest in all scanning subsystems and components, as well as in Dr.Web Preventive Protection. This results in an accelerated detection process—malware has no chance to even start working, let alone cause damage to a system. It was namely Dr.Web heuristic technology that detected the much-talked-about WannaCry; thanks to it, no Dr.Web user’s system was compromised. Heuristic algorithms have been radically redesigned to detect bodiless threats, which are increasing in number daily and whose detection is severely complicated due to their specific features. Heuristic algorithms have been added to detect LOLBINs/LOLScripts (Living Off The Land Binaries And Scripts). 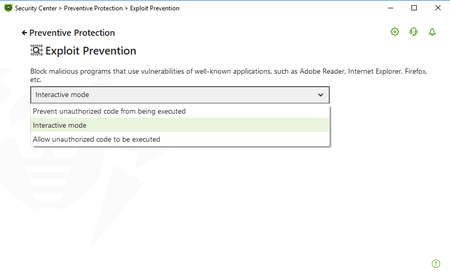 Cybercriminals use trusted processes (those not scanned by anti-viruses) to execute them. Some estimates indicate that in 2017 this class accounted for more than half of all attacks. The new Dr.Web version 12's heuristic algorithms also take aim at trends that are popular with virus writers: launching malicious miners and imbedding malware downloaders (both those that are active and those designed to be launched in all system areas). 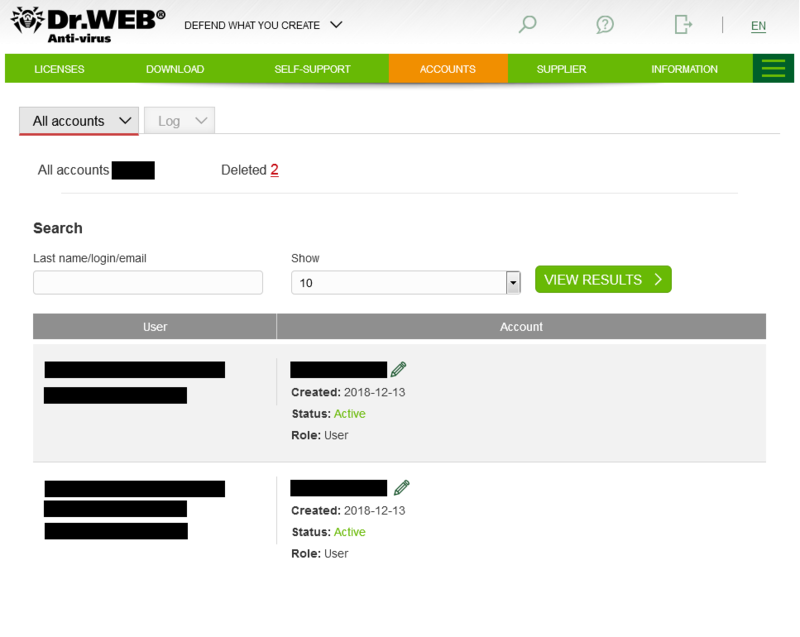 Dr.Web version 12’s upgraded Cloud now includes a number of new heuristic methods for detecting threats. 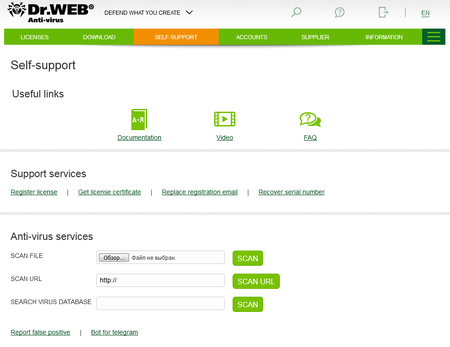 In most cases, Dr.Web Cloud is used during the scanning process. 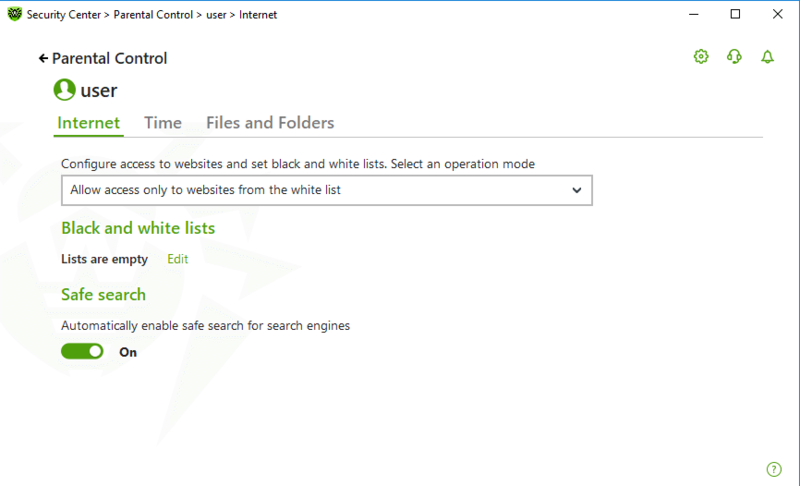 The heuristic scanning of browser extensions is also implemented via Dr.Web Cloud—it determines the location of plug-in configuration files and analyses the configuration file of the scanned browser. And in contrast to what happens with many other present-day anti-viruses, no files are transmitted from a protected device to Doctor Web's servers. 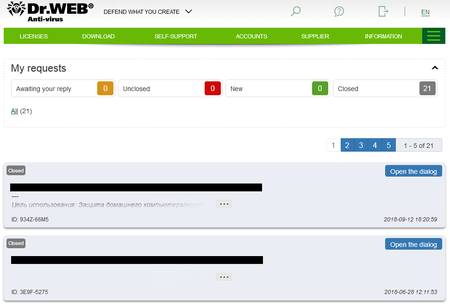 Dr.Web Cloud is the key ingredient that makes version 12’s protection so effective. 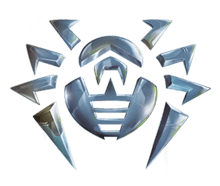 Dr.Web version 12 is armed with information about a new class of incurable threats. Special heuristic algorithms are applied to those threats so that Dr.Web can assert with a high degree of confidence that a system is infected. For obvious reasons, we do not want to go into further detail here. Adware has gone from being pure advertising to being a cross between advertising and something malicious, where the malicious part is winning out: this includes substituting parameters in browsers, shortcuts, home pages, proxy, DNS; blocking anti-viruses and system applications (for example, regedit, taskmgr); and taking other actions. Infecting a system via adware has become a favourite method of cybercriminals. Dr.Web 12 for Windows has become more effective in neutralising malicious adware activity that cannot be detected with the help of signature-based analysis. 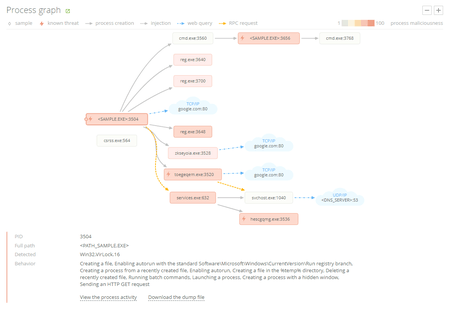 Version 12 uses both heuristic and cloud-based detection routines to protect systems. And, what’s especially important is that Dr.Web cures a system from these malicious modifications and blocking activities. the new version of Dr.Web is simply... irresistible! 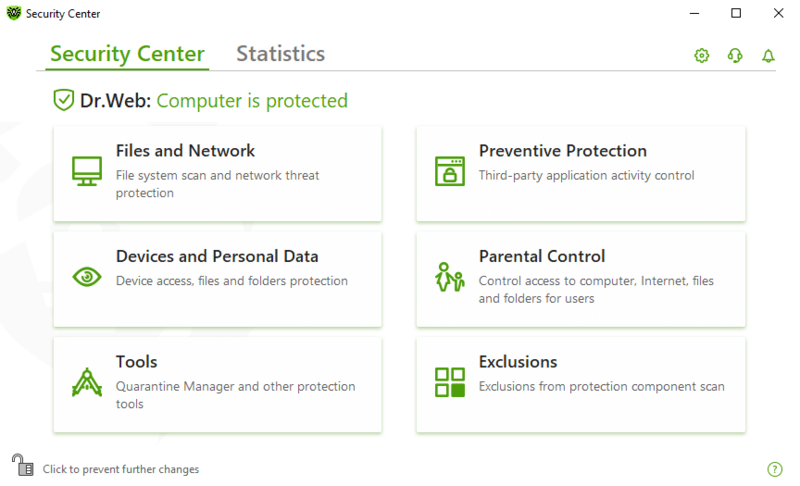 Easier and more intuitive—these are the words that can used to describe what it’s like to manage the settings of the protection components and tools in the new Dr.Web 12 for Windows. 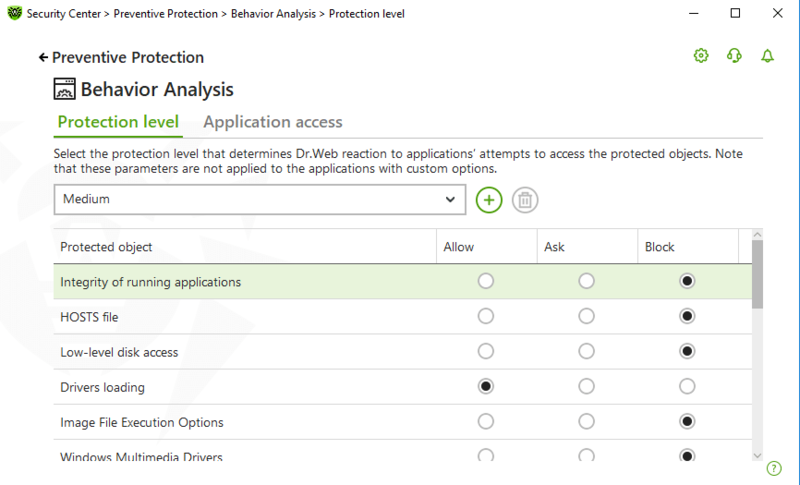 The key Dr.Web protection components are now aggregated in a single window. 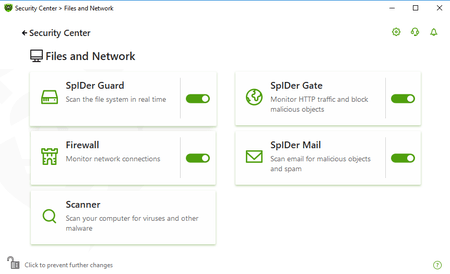 Here users can access the settings of Dr.Web SpIDer Guard, the Scanner, the Firewall, SpIDer Mail, and the SpIDer Gate HTTP monitor—traditional, time-proven anti-virus protection components, which over the course of two-plus decades have been tested on millions of user computers worldwide. protects against objects that have not yet been analysed by the anti-virus laboratory and, therefore, are unknown to Dr.Web at the moment of intrusion. Dr.Web’s Preventive Protection technologies allow our anti-virus to remain permanently up to date and relevant and to do the seemingly impossible: protect against threats that have already been created but are not yet known to our virus database, and this even includes protecting users against threats that criminals have yet to develop! In the new Dr.Web for Windows 12, Dr.Web’s Preventive Protection technologies can neutralise brand-new threats thanks to three modules that can be managed via a single Dr.Web Security Center tab. Monitors running programs and exposes suspicious behaviour that is typical of encryption ransomware. Monitors the integrity of processes and makes it impossible for hackers to inject malicious code into them by exploiting existing vulnerabilities. Monitors the requests malicious programs make to various system resources. Cuts off attempts to inject a driver into a system or make changes to the way the operating system works. Similar unauthorised actions will be identified and blocked. Hackers try to extort money from users by encrypting their data, blackmailing them, shutting them out of their computers, and then stealing and selling their personal data. 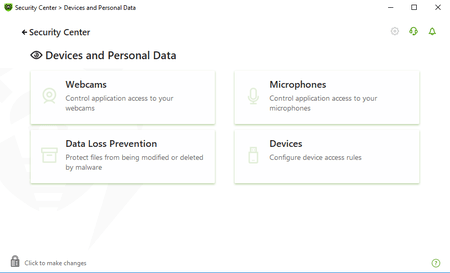 Our modules, which users can easily find in the Devices and Personal Data section, will prevent all those things from occurring. Many Dr.Web users have heard about encryption ransomware programs that corrupt user files and demand a ransom to restore the information. Because Trojan code often contains errors, even users who pay their blackmailers a ransom risk never seeing their photos and work documents again. Because encryption ransomware is so highly commonplace today, protecting oneself against it is vital. And although the new Dr.Web protection component has the same name as in Dr.Web versions 9-11.5, the routine governing its operation is now completely different. 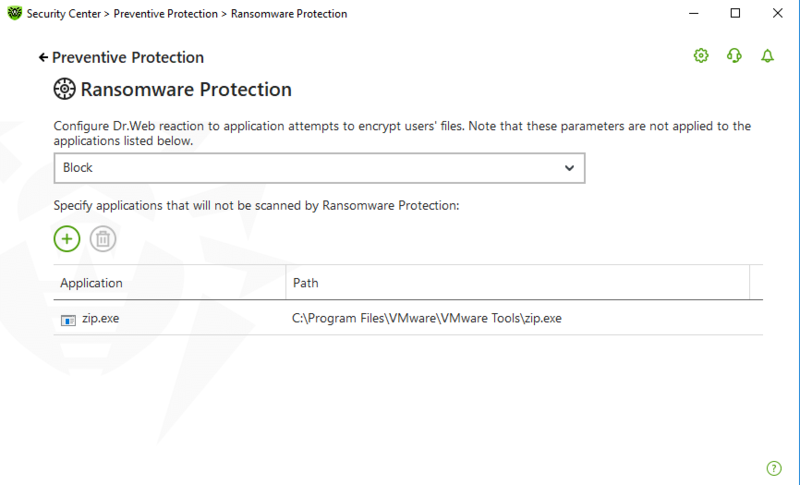 This is indeed a new tool whose operation is no longer based on the periodic creation and protection of backup copies but on the non-stop resident protection of user-selected folders. Your files will remain under its protection until such time as you yourself disable it. Data Loss Prevention needs to be turned on and configured.
! This component is not available under the Anti-virus license. Spying incidents—those involving cybercriminals carrying out attacks that let them gain access to microphones and cameras, make video and sound recordings, and then demand a ransom to keep the information attained private—are on the rise. And users cannot tell when their devices are being compromised (no light comes on) even if they’ve locked their screens. A computer should serve its user rather than an invisible intruder. 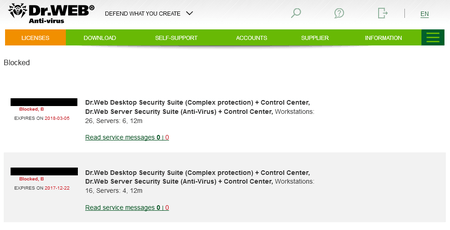 Compare Dr.Web Security Space and Dr.Web Anti-virus protection components. Modern technologies offer fraudsters tremendous opportunities to attack people who do not yet understand the importance of protecting their data. 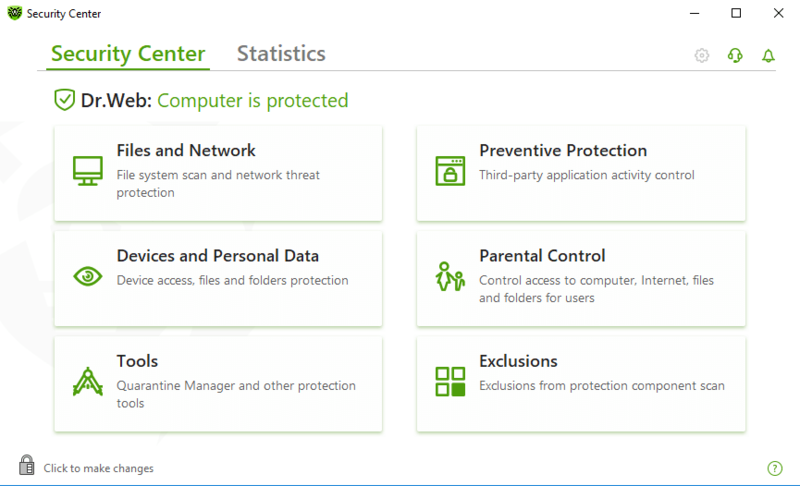 The Parental Control component in the new Dr.Web 12 for Windows will protect children against the kinds of threats that can impact them the most. Parents/guardians can now indicate how much uninterrupted time children can spend on a computer and specify break times, which are very important for their well-being. 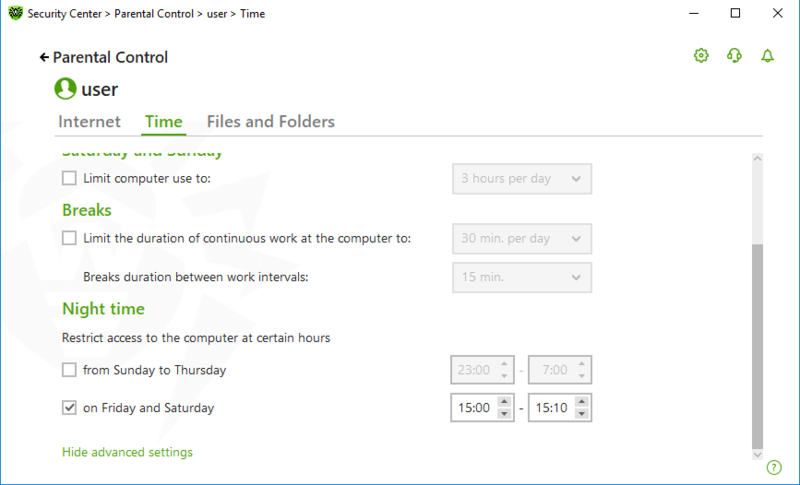 Users can now check how much computer time they have left if limits have been placed on their computer use. This way, they won’t be surprised when their computer shuts down. When going online, it’s important to realise: all malware is created to commit crimes. What does Dr.Web protect against? To upgrade to Dr.Web for Windows 12, commercial and trial license users just have to download the distribution of the new version and install the program. Attention, Dr.Web Anti-virus service users! The date of release of version 12 for those who use the anti-virus on a subscription basis will be announced separately. 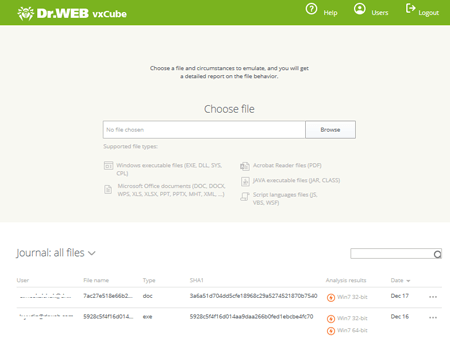 Doctor Web is pleased to present the new version of its emergency analysis service for malicious and suspicious files—Dr.Web vxCube 1.1. The new version incorporates many improvements to both the service’s functionality and its user interface. The new version’s optimised analysis routines make file examination 30% faster. Graphs in service reports have been redesigned. The drawing routines have been optimised for complex graphs that present information about analysed samples running multiple processes with the same IDs. Furthermore, graph readability has been improved. 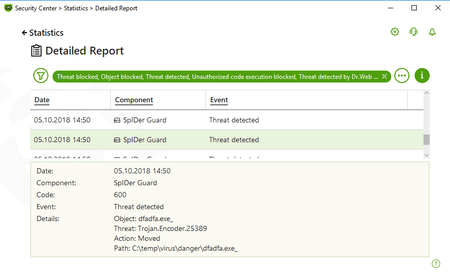 IDs are now used to indicate the first launched process, instances when Dr.Web has detected a threat, and RPC queries. 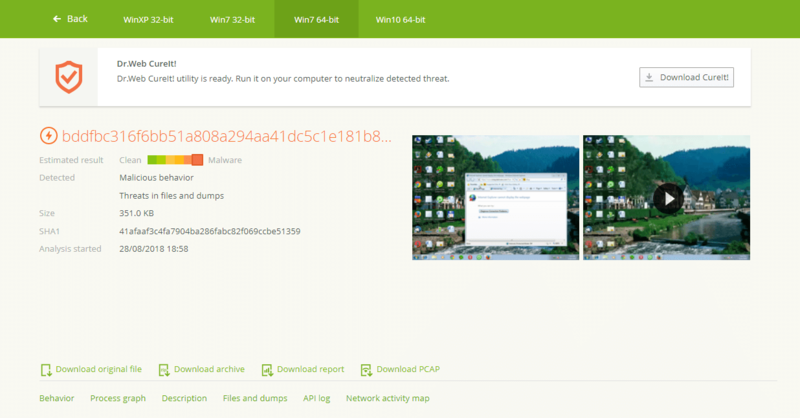 You can download source file, report in HTML format, and the PCAP file from the report page. 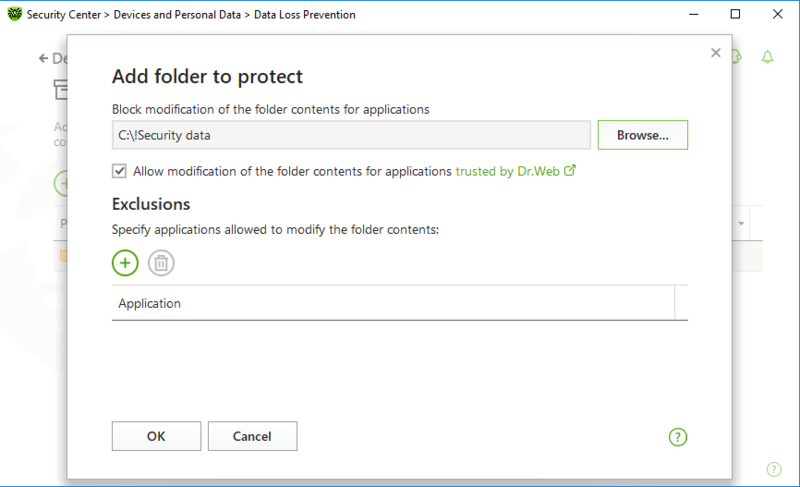 The general description of an examined file now includes information about the file&apos;s behaviour and identified threats. 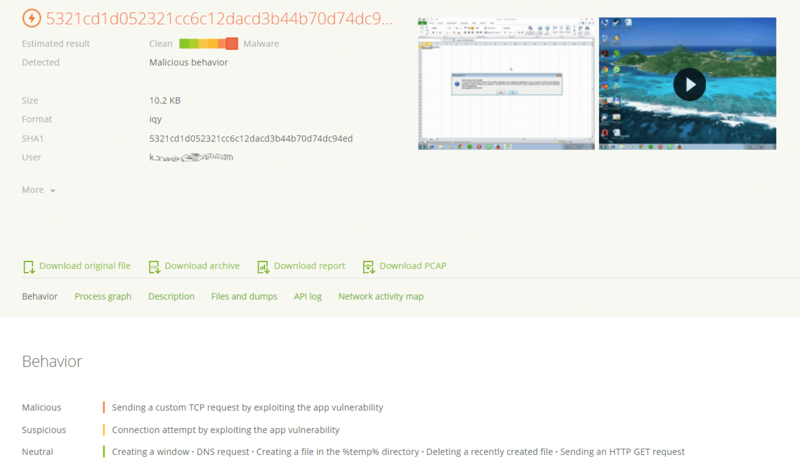 The analyser uses new rules to examinfile behaviour, such as the use of application vulnerabilities, the accessing of specific registry keys, etc. The description text for some of the rules has been changed so that users can more easily understand how the rules can be used. Issues that could result in false positives while the rules were being applied have been eliminated. Dr.Web vxCube 1.1 also incorporates a modified hypervisor. Defects that could result in system crashes (BSOD) and freezes have been eliminated. Web interface vulnerability issues and other minor problems have been resolved. To use Dr.Web vxCube, you will need a trial or commercial license. You can purchase a commercial license in Doctor Web&apos;s eStore. 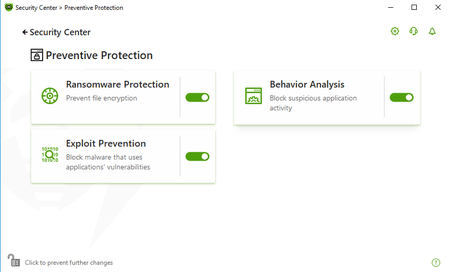 Russian anti-virus company Doctor Web has launched the public beta-testing of its comprehensive anti-virus solution Dr.Web Security Space 12.0. Usability and flexible configuration were the company’s top priorities for the new version. 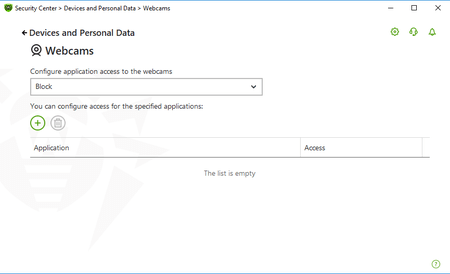 All users wanting to be the first to try out the new features and upgrades of Dr.Web Security Space can get the distribution download link and a key file. The most active beta testers will receive gifts from Doctor Web! Doctor Web invites all users to participate in the public beta-testing of Dr.Web Security Space 12.0. 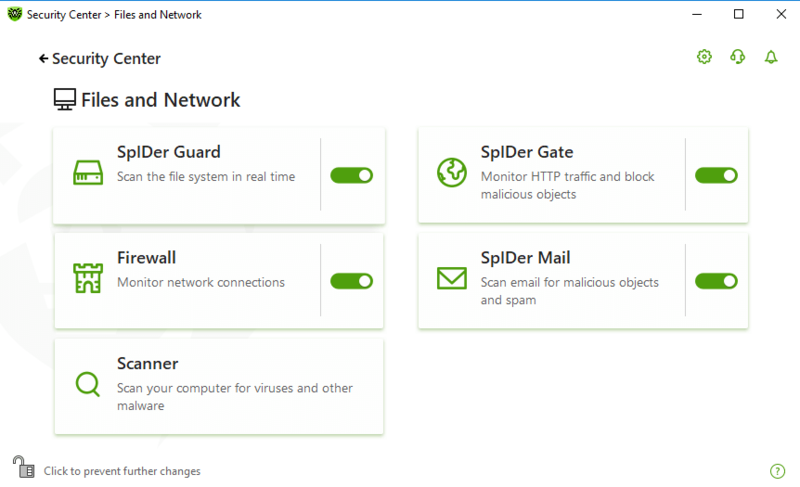 The upcoming release of Dr.Web Security Space 12.0 offers many changes that will make the product even more user-friendly. The application&apos;s interface has been redesigned. This time we decided to experiment and did everything differently. 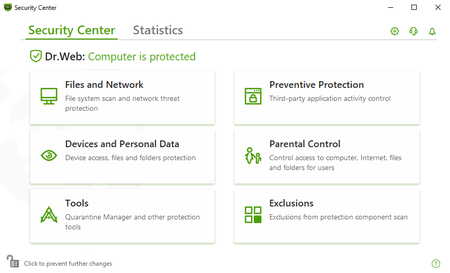 Now Dr.Web Security Space features its own Protection Center in which all the basic components, settings, and anti-virus statistics are concentrated. 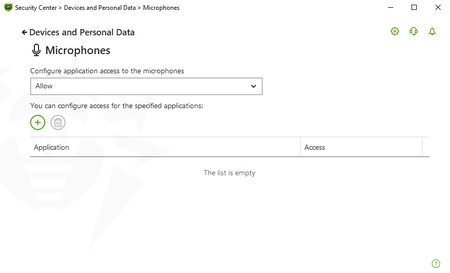 The new privacy option can be used to disable or allow the use of PC cameras and microphones. 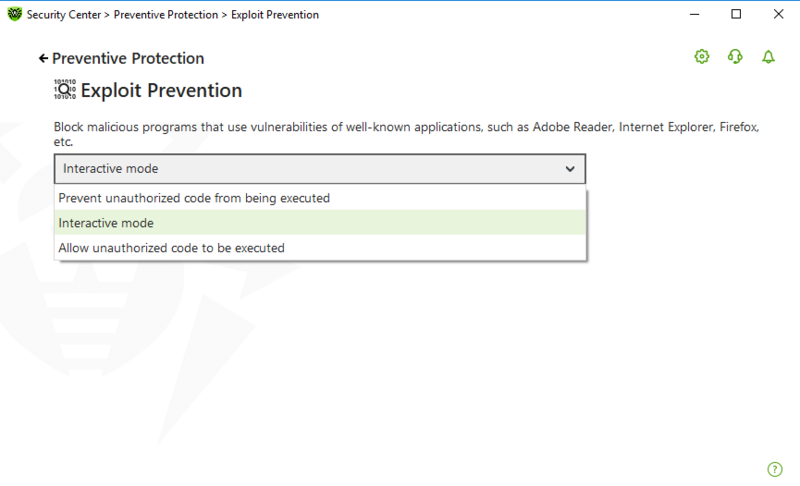 The new version also offers a novel approach to preventive protection, which is now maintained by three modules: the activity monitor, the ransomware fighter, and the anti-exploit module. The modules&apos; operation is also highly customisable. 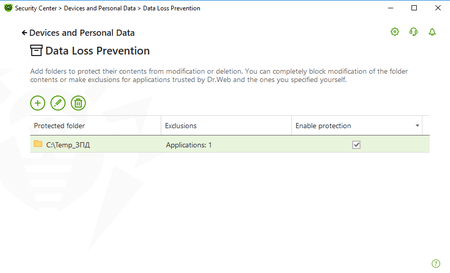 The data loss prevention feature has been revamped. 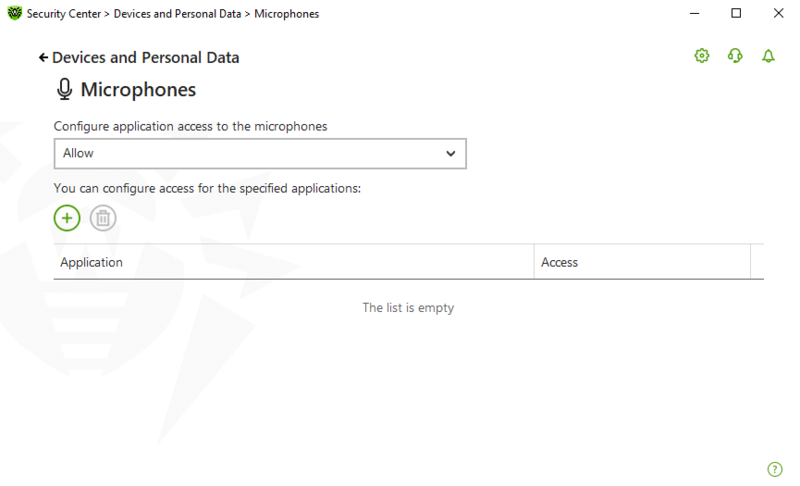 Now you can disable the modification of folder contents for any applications except those you trust. 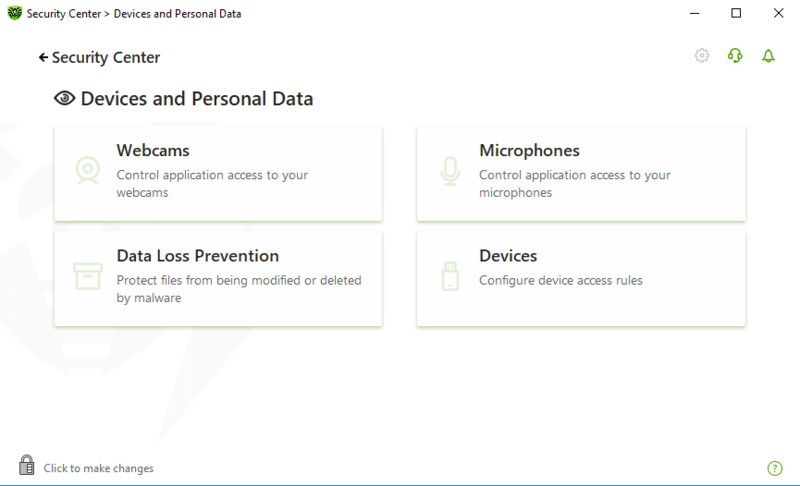 Furthermore, each computer user can specify which data they want to protect. 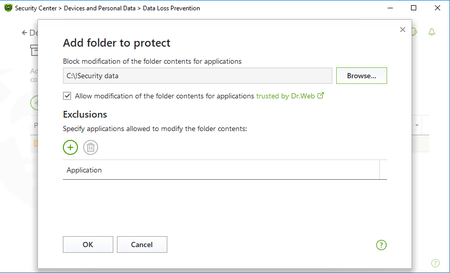 In addition to pop-up notifications, the anti-virus offers a notification bar that provides access to important information requiring the user&apos;s response. 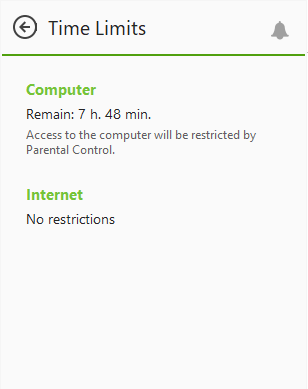 The Parental Control module has been upgraded too. 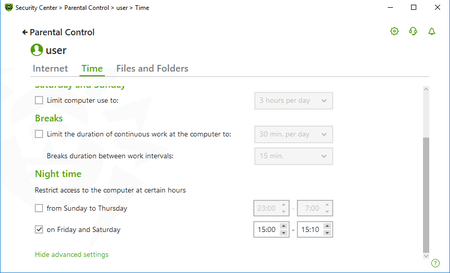 Now you can specify the duration of an uninterrupted computer usage session and specify the time for a break. If the option to block access to the computer has been enabled, users can now check how much time they have left. This way, their work at the computer won&apos;t be interrupted unexpectedly. You can also specify when the system should be restarted in order to apply high-priority Dr.Web updates. The quarantine and statistics can be cleaned automatically after a specified time period to prevent outdated information from being stored indefinitely. Doctor Web invites all Dr.Web community members to participate in Dr.Web Security Space 12.0 beta-testing. In keeping with tradition, those testers whose advice and comments prove to be most helpful in making the product even better will receive gifts from Doctor Web. Please note that registration is required to access the beta-testing section. Please, note that the beta-version of Dr.Web Security Space 12.0 is intended solely for testing and can&apos;t be used as a reliable, long-term anti-virus. It is strongly recommended that you remove the application as soon as the testing is complete. Doctor Web shall not be responsible for any issues that may arise on testers&apos; computers in connection with the beta-version. 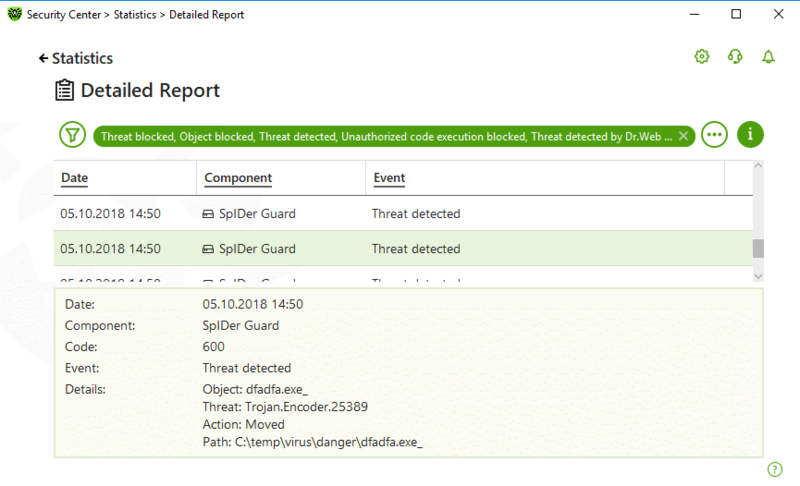 Russian anti-virus company Doctor Web is pleased to announce the debut of its Dr.Web vxCube, an emergency malware analysis and neutralisation service. With Dr.Web vxCube, your files aren’t just analysed; you also receive a special Dr.Web CureIt! build that incorporates a routine for disarming the analysed object. Use Dr.Web vxCube—an on-demand antidote. 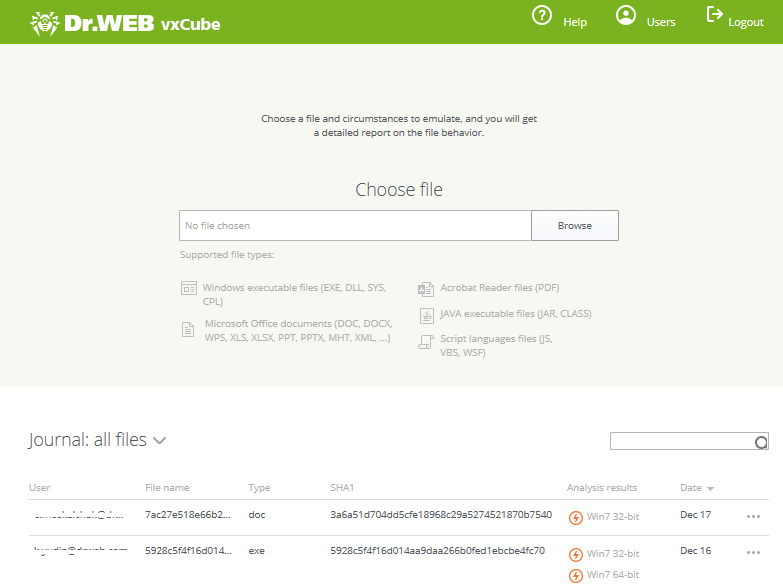 Using Dr.Web vxCube is easy: the user is granted access to an area where they can submit a suspicious file for analysis in the cloud; the analyser launches the submitted item to examine its behaviour and then decides whether or not the file is malicious. If the object poses a threat, the user is promptly furnished with a special Dr.Web CureIt! build. This service lets you expeditiously disarm a brand new threat without having to wait for a security software update. On average, a submitted file can be examined in less than a minute, regardless of whether it is a Windows executable, an office document or a script. The file undergoing analysis is executed in a virtual environment; the customer can simultaneously monitor the progress of the analysis remotely via the Dr.Web vxCube interface. The resulting analysis report includes a video of the file’s examination. Statistics show that money can be stolen with a banking Trojan in three minutes or less—much faster than security software gets updated. The opportunity to procure a custom Dr.Web CureIt! build makes Dr.Web vxCube an indispensable tool for companies of any size, regardless of whether they are current users of Dr.Web software. Dr.Web vxCube can be particularly helpful for companies offering services involving PC curing and maintenance. And the ability to analyse files makes it indispensable for cybercrime investigators. To use Dr.Web vxCube you will need a trial or commercial license. You can purchase a commercial license in Doctor Web's eStore. 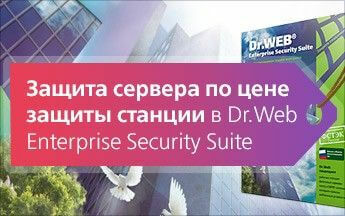 Russian anti-virus company Doctor Web has released Dr.Web Light 11.0.2 for Android. The updated version boasts improved stability and usability. Specifically, the issue involving the scanner&apos;s abnormal termination during 7z archive scanning has been resolved. The updated version also features a number of interface optimisation tweaks. Dr.Web Light for Android will update to the new version automatically. If you disabled automatic updating on your device, you must go to Google Play, choose Anti-virus Dr.Web Light on the application list, and tap "Update."